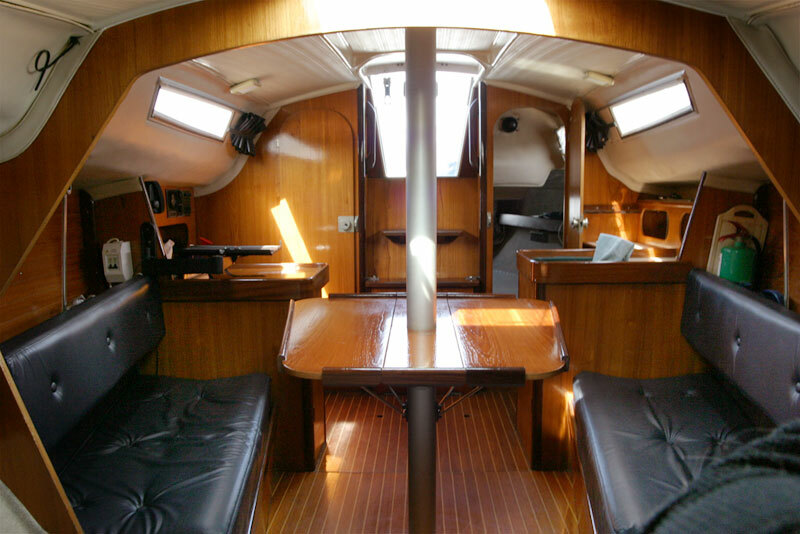 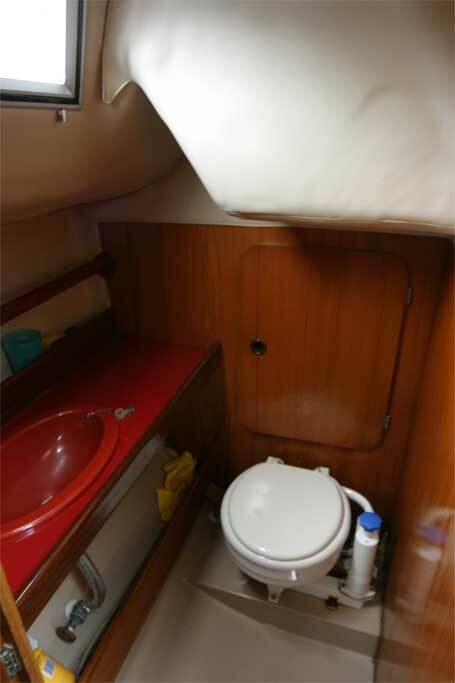 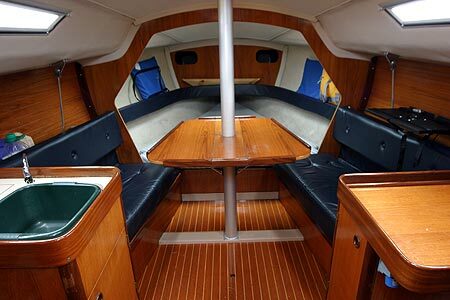 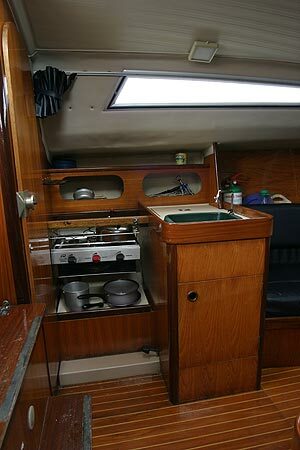 L shaped galley with stove, cool storage area and sink with manually pumped cold water. 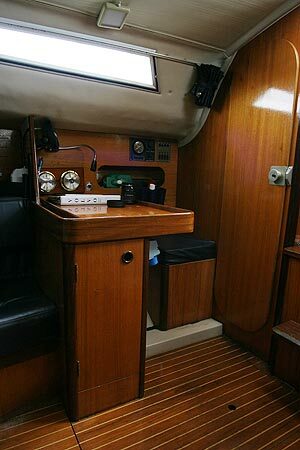 There are 12 volt electrics throughout supplied by 2x 12 volt batteries which in turn are charged by an engine alternator. 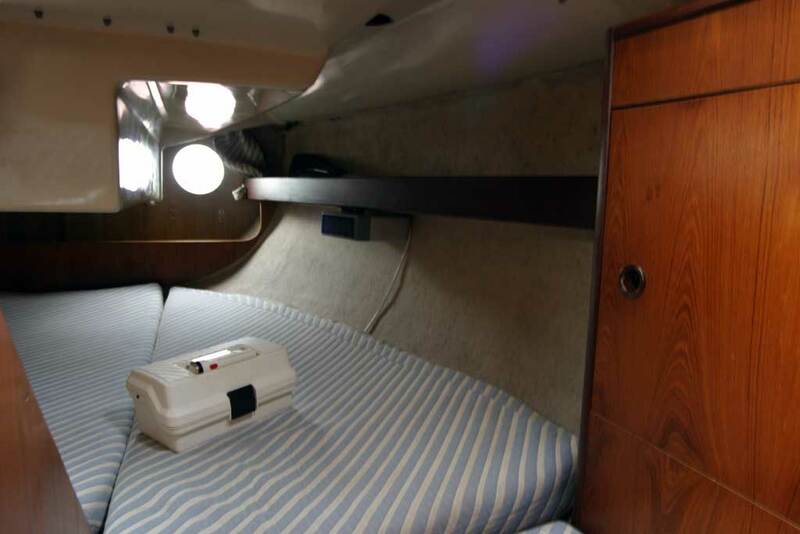 also fitted is a 240 volt Shore power supply with inline battery charger. 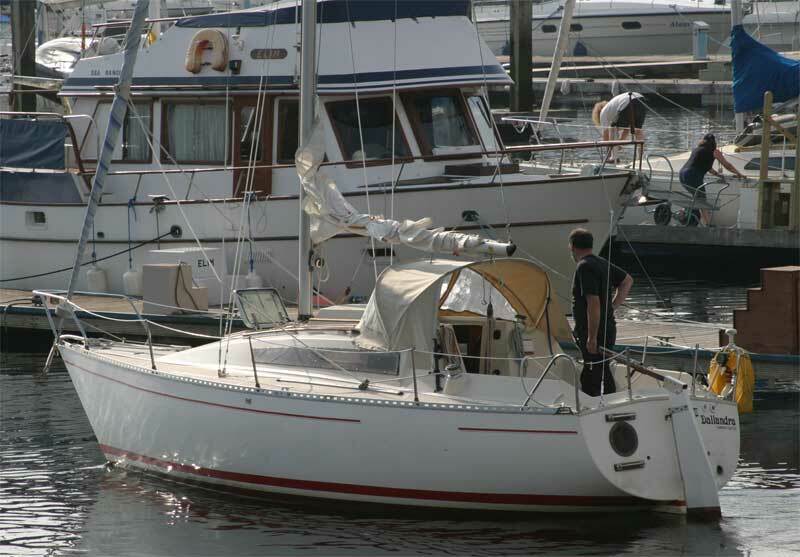 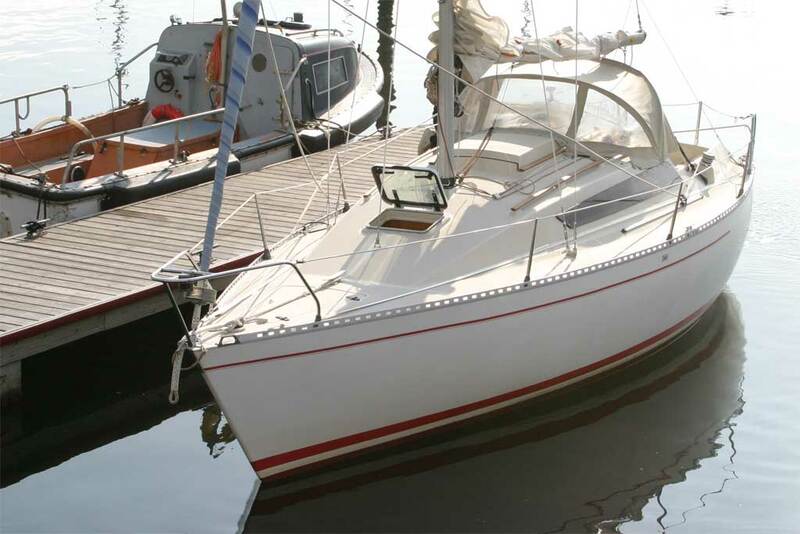 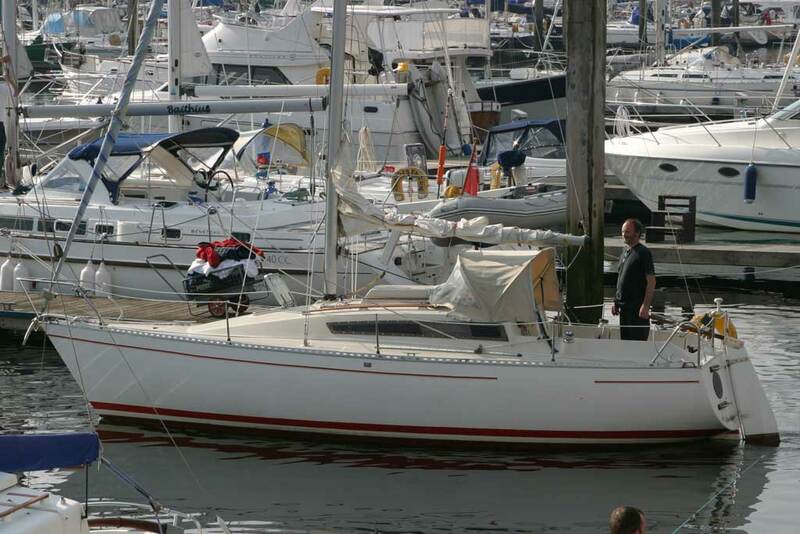 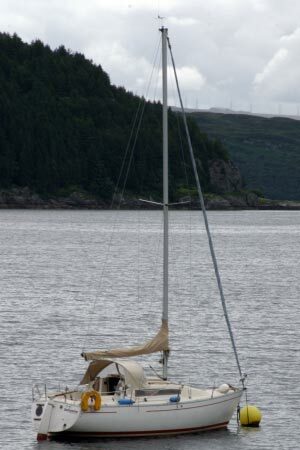 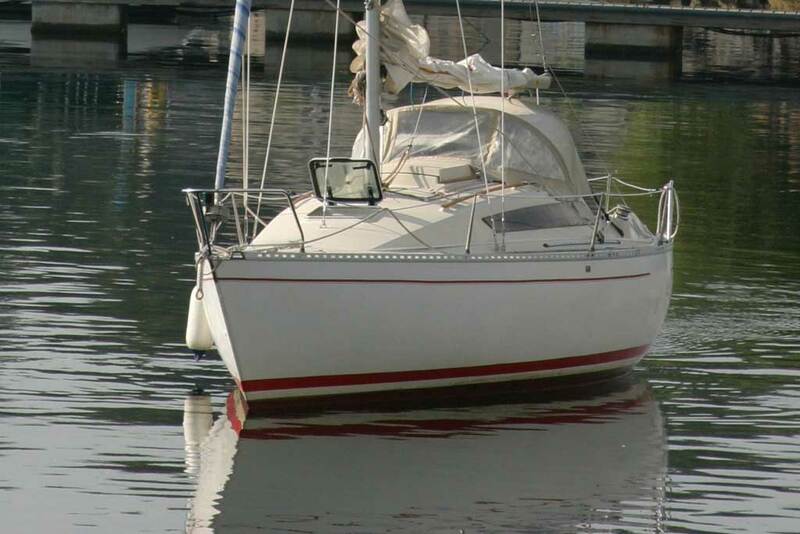 This boat is no longer for sale and remains here solely as an information resource for those researching Beneteau First 26's.